Hemmels, a post-war Mercedes-Benz restoration specialist, has received investment from Mobeus, allowing it to build its engineering capability and expand its work force. Hemmels aims to open a new US site in Los Angeles later this year. After being presented with offers from various Private Equity specialists, Capital is pleased to have advised Hemmel on its investment from Mobeus. A Cardiff-based firm that specialises in the restoration of classic post war Mercedes-Benz sports cars for clients around the world ‑ with some going for more than £1m ‑ is gearing up for expansion following a multi-million pound investment boost. 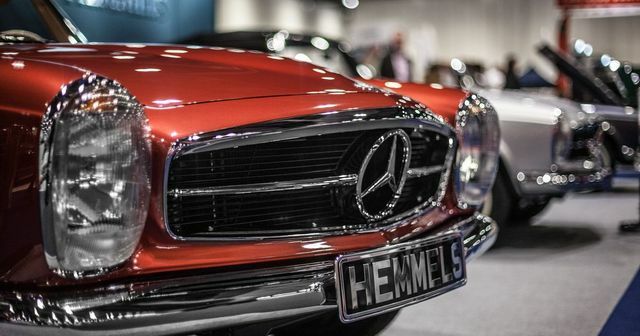 Hemmels sell classic Mercedes-Benz sports cars rebuilt as new from a carefully sourced stock of base vehicles. Its SL sports cars carry a full warranty and are commissioned by customers across four continents and hand-crafted to exact requirements so that each car is unique. Now the business has secured a multi-million pound investment from Mobeus Private Equity, which in return has taken an undisclosed minority equity stake in the business. With Mobeus capital, Hemmels will scale up its engineering and research and development capability, as well as its global marketing activities.